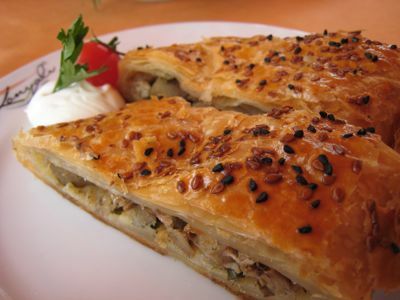 Savory pies are a big deal in this part of the world and while delicious, I need to eat more of them to consider them a meal, rather than a hearty snack! And for dessert and tea, which we did not have, this charming woman in native costume graciously served the classic apple tea… Overall it was a bit pricey, but with the view factored in, reasonable value. 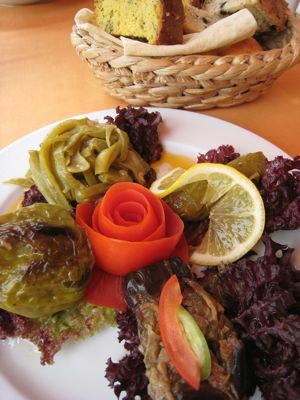 I would recommend a light meal or snack here if you happen to be visiting the Topkapi Palace! i think the site was worth it…. 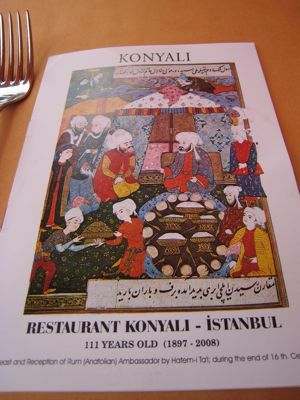 nice menu illustration as well..
MMMMMM, Turkish Meat Pie (MINA in Turkish). MM, please experiment with a Filipino version containing adobo as the filling and instead of sesame seeds sprinkled on top, I’d like to see fried minced garlic, adobo flakes, or a combination!!!! We were the only non-Turkish speaking table that night, so it’s not as touristy as KonyalÄ±, although the view at KonyalÄ± on a clear & sunny day is definitely impressive. Hi MM & Family–I have a lot of catch up reading to do. I’ve already reached the April archives..almost there. You’ll obviously have fun in Turkey & I look forward to reading all about it. Still getting to know the best places to shop (provedores) in Melbourne & understanding the nuances of Aussie language & colloquialism, being more at home with formal American & British English. 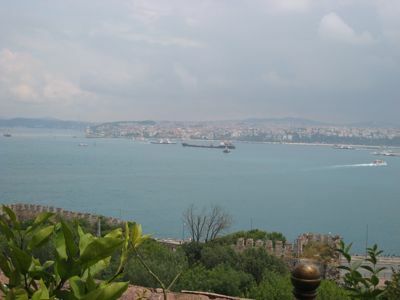 hm, one of my profs had an alfresco lunch somewhere near topkapi and his stuff got stolen. sad. We just arrived home from Greece Istanbul. 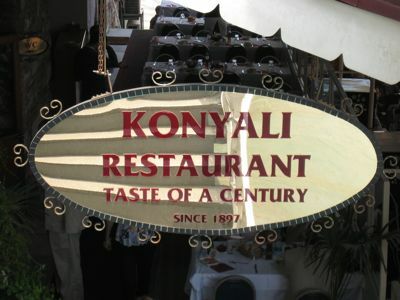 Our terrific tour guide, Aylin Kanat, took us to the Konyali and we had an excellent meal, besides one outstanding view. We had an assortment of kabob, lamb, chicken, rice, vegetables, and mashed potatoes. For dessert, we had delicious vanilla pudding. We also had very good vanilla pudding at the Doce restaurant, at the entrance to the Grand Bazaar. Go to our blogspot at: http://www.marcanita.blogspot.com and check it out.